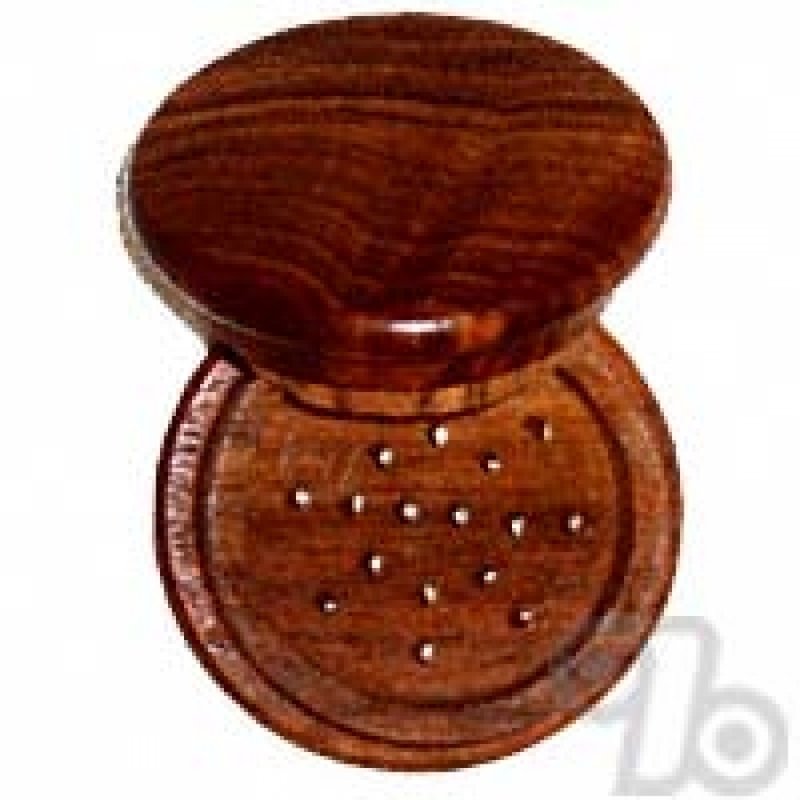 Small wooden herb grinder made from dark hard woods and with steel teeth. Perfect first time pocket herb grinder. Also good if you tend to lose grinders and don't want to invest in a precision machined aluminum or titanium version. Makes a great gift. 2 inch outside diameter. Imported. Works great and is compact but buildup occurs over time and the smooth movement is affected. When it first came, it worked really well. But after a few uses, it kind of sticks a bit when using. The grinder came with the prongs completely bent so it was impossible to close it, let alone grind with it. The prongs literally won't allow it because they're bent to obstruct each other. I also can't open or close it. You have to pull so hard that if I had anything in there when trying to open it, it'd fly out onto the floor. Exactly what I needed. Love this site. Very reasonable prices and fast delivery. Can't ask for better service!